The tomb also housed 100 gilded wooden cat statues and a bronze statue of Bastet, the Egyptian goddess of cats. A collection of rare mummified scarab beetles was also found alongside the mummified cats. Antiquities minister Khaled el-Enany said that the tomb was uncovered by an Egyptian archaeological mission during excavation work that began in April 2018. These discoveries were made at the newly uncovered tomb in Saqqara, which was the site of the necropolis in the ancient Egyptian city of Memphis. Archeologists say that the tomb dates back to the Fifth Dynasty of the Old Kingdom, and they’ve reportedly found another tomb nearby that has yet to be opened. The Fifth Dynasty ruled over Ancient Egypt from about 2,500 B.C. to 2,350 B.C., which was shortly after the Great Pyramid at Giza was completed. Wikimedia CommonsThe pyramid at Saqqara. 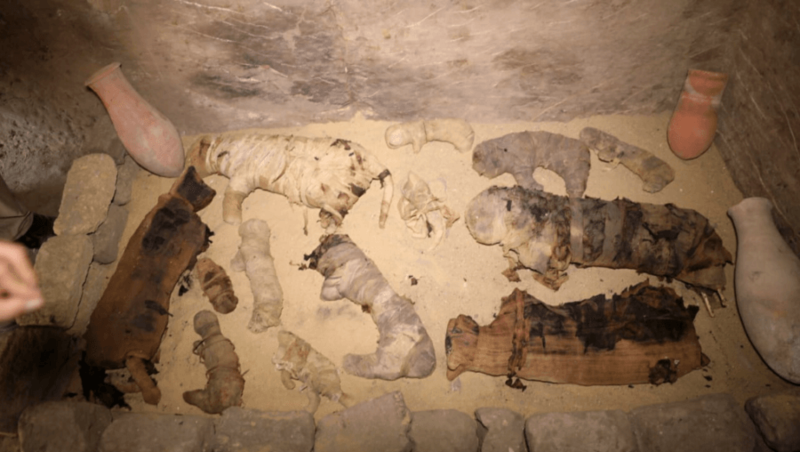 It’s not uncommon to find mummified animals in Ancient Egyptian tombs. The practice was believed to be fairly common, according to experts, and was a way to bring pets into the afterlife alongside their owners. Placing mummified animals in tombs was also believed to provide food to those that have passed into the afterlife. 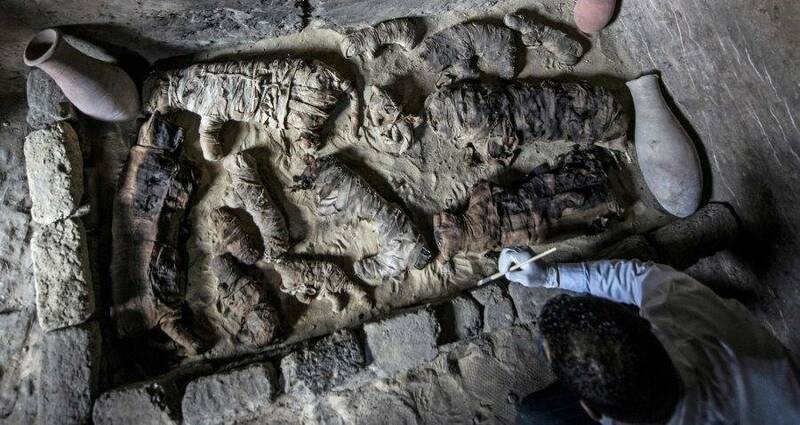 In an interview with NPR, archaeologist and professor at the American University in Cairo Salima Ikram said that the Ancient Egyptian mummification ritual for animals is akin to lighting a candle in church today. What was truly remarkable about this latest discovery were the scarab beetles that were found in the tomb. The two large scarabs were wrapped in linen and found in great condition. They were uncovered inside a limestone sarcophagus with a decorated lid, according to Reuters. Another collection of scarab beetles was also found in a smaller sarcophagus at the same site. The mummified scarab beetles found in the sarcophagi. “The (mummified) scarab is something really unique. It is something really a bit rare,” said Mostafa Waziri, Secretary General of the Supreme Council of Antiquities. 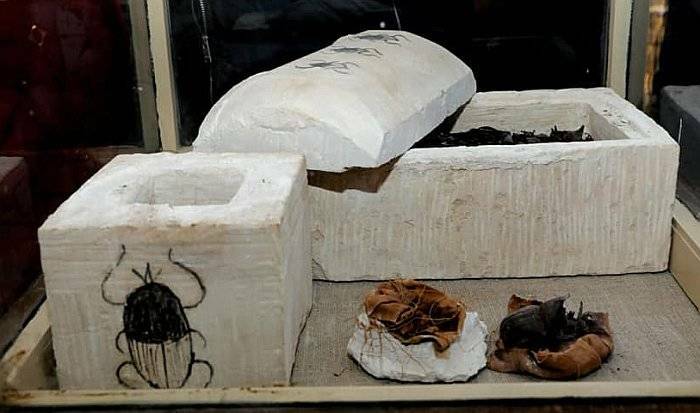 According to the Ministry of Antiquities, they are the first mummified scarab beetles discovered at the necropolis site in Memphis. The mummified cats and scarab beetles weren’t the only objects that were discovered by the archeologists inside the tombs. Archeologists also found gilded statues of a lion, a cow, and a falcon, wooden snakes and crocodiles, and hundreds of faience amulets dedicated to various Ancient Egyptian gods. The announcement of this latest discovery comes on the heels of the Egyptian government’s efforts to bring in tourists to visit the country. The archeologists working to uncover the tomb want to “show the exceptional richness of the Egyptian civilization and to attract the attention of the world towards its magnificent monuments and great civilization so that it becomes the focus of the world as it deserves,” according to the ministry’s release. El-Enany also stated that this is the first of a series of discovered and that there’s more to come later in the year. “This is the first of three upcoming new discoveries in other governorates in Egypt to be announced later before the end of 2018,” he said. 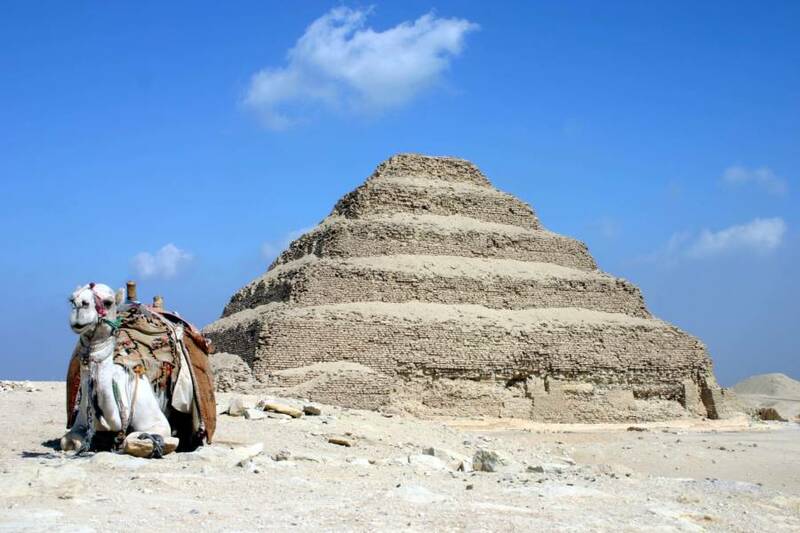 Archeologists are also planning to open the mysterious sealed tomb that was discovered at Saqqara in the next coming weeks. Next, check out this story about the world’s oldest tattoos that were discovered on a 5,000-year-old mummy. Then, find out if this Ancient Egyptian ramp solves the mystery of how the Great Pyramid at Giza was built.